To create the JUST 100 list, Forbes and Just Capital asked 81,000 Americans about what they most want to see from the nation’s biggest businesses. The answer? Treat employees, customers, communities and the environment well. With those priorities in mind, they ranked 890 of America's largest publicly-traded companies to determine the Just 100 – the companies that are delivering shared value by generating better returns for themselves and society in the process. Abbott ranked in the top 10 percent of companies on the list: No. 88 out of 890 companies. Abbott also scored No. 1 in its industry for company leadership, and 2nd for its work in communities. JUST Capital cited Abbott's Board diversity, supplier social responsibility program, ethics and compliance program, and its dairy supply chain initiative as key examples. To view Abbott's profile by JUST Capital, click here. 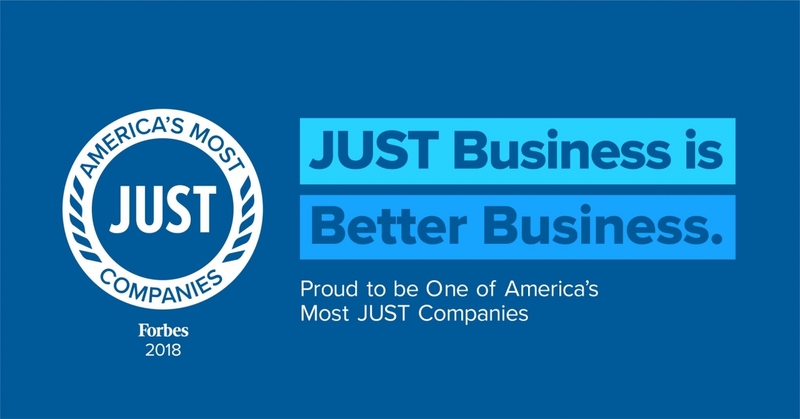 To view the full list of this year's JUST 100 Companies, click here. To learn more about Abbott's work to deliver sustainability and social impact, click here.